Real estate is the largest asset class in the world, with residential real estate alone valued at $162 trillion. The median price of a new home in the U.S. reached $323,000 in January 2018, according to 2017 U.S. Census data, and the value of housing stocks continue to rise. If you're looking to invest, or are considering getting into house-flipping, the cost alone can be a huge barrier—but cryptocurrency may make it easier. When Bitcoin was first introduced in 2009 it was the first of its kind, but now, 1,500 cryptocurrencies (and counting) exist on over 200 exchanges. Cryptocurrencies continue to grow in value and are branching out to more industries, including real estate. 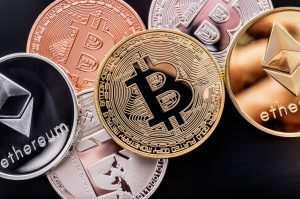 Transactional currencies like Bitcoin are designed to be used as money, and can be exchanged for other currencies—either different cryptocurrencies or fiat money; however, a new type of crypto coin called security tokens offer users a way to invest and share profits with the anonymity and security of cryptocurrency, but backed by real-world assets like real estate. With the decentralized security of blockchain technology, transactions, titles and all other records are public and safe from error or misrepresentation. Fraud is much less likely, and ownership shares become more accessible to small investors from all backgrounds. Blockchain is even being tested as a way to prove ownership of real estate assets, in lieu of a traditional title or deed. Cryptocurrencies can offer investors a chance to diversify their portfolio. Cryptocurrency funds that are backed by real estate assets experience less price volatility than other cryptocurrencies, thanks to the relative stability of the housing market. By supporting fractional ownership, investors are able to enter the real estate market without needing to make large investments. In 2017, 207,088 single-family homes and condos were flipped in the U.S., for a total $46.3 billion. Two-thirds of Americans believe flipping houses is a great way to make money, and even more wish real estate investment was easier, according to a 2017 RealtyShares Real Estate Investing Survey. With crowdfunding through cryptocurrency, it's easier than ever before. An ICO, or initial coin offering, is a means of crowdfunding. When investing in an ICO, investors use fiat money or other cryptocurrencies to purchase coin at a predetermined, static value. Once the ICO period has ended, the value of the coin may rise or fall. When a real-world asset, like a house, is funded through cryptocurrency, its value is converted into security tokens that prove each holder's fraction of ownership in the asset. Investors can purchase these tokens during the ICO period to crowdfund a house flip or other investment purchase. Whether you're investing in a pool of assets or a single home purchase through cryptocurrency, the tokens may be traded at any time, once the ICO has ended. Token-ization of real-world assets makes it fast and easy to split the shares among many investors and removes the hassle of making legal agreements and organizing many different transactions. If you choose to invest in token-ized real estate, you can still get the benefits of a professionally managed portfolio, along with the relative stability of the housing market. These asset-backed pools are safe for hands-off investors, because they combine the stability of real-world assets with the security of blockchain and cryptocurrency. Brian Wallace is the founder and president of NowSourcing, a infographic design agency based in Louisville, Ky., and Cincinnati, Ohio, and works with companies that range from small business to Fortune 500. Wallace also runs a local event to make the Louisville/Cincinnati region more competitive (#thinkbig), and has been named a Google Small Business Advisor for 2016-2018.